Oats are a whole grain and also considered to be a super grain in my books! The oat kernel is made up of three components: the oat bran, oat endosperm, and oat germ. 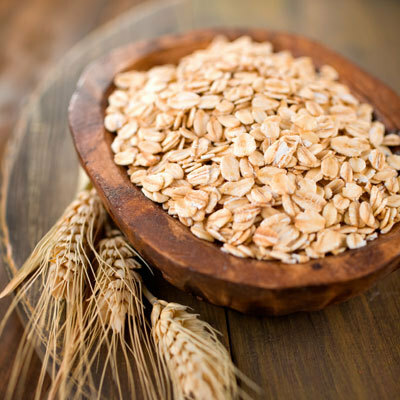 In comparison to other sources of whole grains, oats are higher in protein and contain a healthier fat content. Additionally, oats are known for their soluble and insoluble fibre content. Soluble fibre – dissolves into water and forms a thick “sticky ball” within the body. This helps slow the digestion of food and makes you feel full for a longer period of time. Additionally, this sticky ball will retain some of the fat content causing a cholesterol-lowering effect. Insoluble fibre – does not dissolve into water but, helps maintain a healthy digestive system and regulate bowel movements. In conclusion, a bowl of oatmeal is a great way to start your day! Try to choose old fashioned, steel cut, or quick oats as they contain the most wholesome, hearty oat content.